Guest Room Vastu: In the Indian context, a guest is addressed as “Athithi”, the meaning of "Athithi" is a person who has no date, meaning, he has nothing to eat on the day. Such a being is called “Athithi” and he is equated to the divine and treated accordingly. That is the meaning of the expression “Athithi Devo Bhava”. In other words "Athithi Devo Bhava" means "Guest is indeed God" presented himself for the day. This being the case, guests were accorded divine states by everyone whenever such opportunity presented itself. Each person was treating the guest as a divinity in conformity with his status of living. A poor person would starve to feed the guests. The rich person would treat the guests with lavish hospitality. In all cases, the attitude was to please the guest as per his social and financial status. 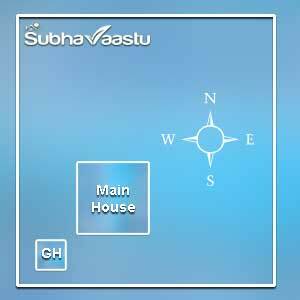 Please visit this House vastu link to know more information about House and the importance of vastu. Northwest direction is ruled by god of air (Vaayu), and the reigning deity is moon and the mount of this direction is deer. These three show a peculiar attitude. 1. Air is unstable, it is constantly moving. A visitor/guest also will be constantly moving from place to place, he is unstable. 2. Moon, is waning and waxing daily. Sometimes he rises along with the Sun and sometimes he rises all by himself, when Sun is setting. Sometimes he raises at different times, all these showing that its movements are apparently unpredictable. Here moon influences, the mood of the residents. Thus a guest house is the best place in the northwest direction of the main house. So that he does not become a permanent guest which most of us don't like. 3. Yet, we say Athithi Devo Bhava, guest is the apparently the God for personified. So in the guest room the place of bed for the guests should be the Northeast, signifying, he is revered. Note that in the normal house the Northeast room is expected to be kept vacant. There should be no idol, no mandap, and no portraits even. Because God cannot be represented by any of these earthly things. 4. So far as guest is concerned, he is personified god and so it is possible to place his bed to the Northeast side in the guest room. In course of time, values changed and the idea of treating guests got commercialized. With the result that people prefer to stay in hotels when they go to other towns, instead of staying with near and dear friends or relatives. It is also possible today that one may have indeed a large heart but poor resources and so he feels shy when a guests come home, and on the other hand a rich person may have the undertones as to how to exploit the abilities of the guests to take forward his own interests and desires so that his life becomes easier. Commercializing an otherwise simple, social etiquette, it is for this reason also, people may avoid staying with friends and relations. Ignoring the above where one wants to treat guests as divine dictate is still common in some class of our people. They would like to have a separate guest house where the guest can be accommodated and they unfettered with the family of the host, this is indeed welcome. For those people who cannot have a formal guest house, a substitute is a guest room in their own house/complex. vastu shastra could help in either of these cases. "Guest house" is different and "guest room" is different. There is a lot of difference between these two words. Don't club both words into one equation. Both have their own features, advantages, and disadvantages based on the placement in our property. As discussed earlier, the guest room is not equivalent to Guesthouse features. When compared with the involved influences there is a lot of difference with both of them. If there is any faux pas in setting up the guest room in the home may not devastate the entire enterprise, but there is any gaffe inaccuracy took place in setting up guest house, it may spoil the entire life of the master and his associates of that concerned property. The guest room is perfectly suitable at Northwest. This is the first preference. Southeast is also suitable for the Guest. This could be the second preference. If there is no huge open space at North then North bedroom is also suitable for the guest. If there is water bodies, land depressions, pit, excavation at South direction, then at that moment also guest can temporarily stay there. Allotting Southwest room for the guest is a great mistake. It can be allowed if there is huge open space at Southwest, West, and South then guest can temporarily stay at Southwest bedroom. Don't arrange the Northeast room for guest if there is huge open space at Northeast direction. Only for time being Northeast room is also provided to guests. Wherever the resident planned the guest room in his home, best to arrange one toilet inside the same guest room. Otherwise at night time guest may come out from the room for toiletry functions. Provide him one water jug when he wish to sleep at night in that guest room. If so he can drink water at night if he feel thrust. Otherwise, he may disturb residents, this could cause disturbance to the residents and guests too. If a resident likes to accommodate more frequent guests, then arrange one Television in their room. With this, he cannot join the main family members when all of the family members watching the television at family room or gathering for any discussion. The suitable and best way for the guest room is Northwest (Vayavya) corner. This is the correct place for the guest room as per Vastu. 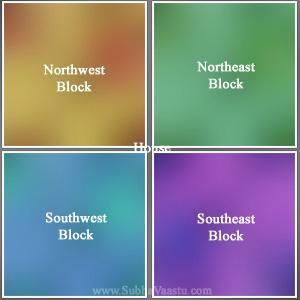 Is there any specific wall colours for guest room according to vastu, honestly speaking no. Please note that, when the home plinth area has more East and West measurements, and the Northwest room kept as guest room and if it has Southeast door, in such cases, the guests visit and stays there, and it may be natural that they may comment on your family members in your absence. They will eat and scold you in your absence. If this house will be planned by an expert vastu pandit then this could not occurs. Need to know, how many days the guests staying in the home. Based on the time period, the influence of that room and room door also take into consideration. For example, if a guest stays in the home for 3/4 days, then no need to think on his visit and influence of that room vastu on him. If the guest stays more than 15 days or one month then need to check the coordination of the door of that room and room placement in the home etc. Keeping Vaastu principles in mind before planning the home is appreciated. Best to make the guest room as per Vaasthu principles. So guests never stay more time in the home. This is really unfortunate, we have more food, but we don't have more time to serve guests. We really love guests to offer them shelter and food but due to unavoidable circumstances we are unable to serve them. If resident approached best Vastu Consultant, he will do the rest as per residents wish. He will get all the information and then only he frame the house shape. Treat the home with parts for best understanding purpose. In this image, it was shown the house with four parts. 1. Northeast portion. 2. Northwest Portion. 3. Southwest Portion. 4. Southeast Portion. Now we will discuss which part of the portion is suitable for guests. Northwest portion is the answer. We already discussed above, but we thought showing with image help may have more clarity. Generally, we won't like to accommodate to "many guests" at a time. But in some houses, there may be some particular rooms only for the guests. We visited one client house in South Africa, there he provides 3 bedrooms for the guests. All the rooms are five star quality. When we visited exactly one week back Cine actor Venkatest left to India and he stayed in that same room. The house has perfect standards, he loves to serve the guests. Some residents are so generous and some may not. Some are more interested on their guests but they don't have good time to serve guests. Now check the below image for best suitable areas for guest rooms in a house. Northwest portion room is the best suitable for the guests. At any cost don't plan Southwest portion for the guest room, he never leave that property or he may continuously visiting that property, again and again. The second best option for the guest room is Southeast corner room or Southeast portion. If you have only Northeast room for the guests then ask your nearest Vastu Specialist and then only allot that room. In the below images the "GH" means "Guest House"
Is the home has the compound premises or not. If there is no compound premises, the negative impact will be little lesser. What is the exact measurement of the entire compound premises.If the main house has the compound premises what is the height of the all directional walls. Often outhouses or Guesthouses are used as Guest houses in affluent families. Normally, the best place for an outhouse otherwise guest house would be the Southwest. However whoever resides in Southwest of the premises would have the upper hand in the affairs of the main house. One does not wish the guest to run in the main house family members affairs. These are the precautions for main house residents happiness. Where an out-house is coming in Southwest, it is best to have the entry to the outhouse from Northern Northwest, this entry will make the visitors less dominant and at the same time bestow good results to the main residents. By having this entry exit at NNW it is ensured that the guest would not stay for long. While constructing the guest house the basic principles of vastu with regard to floor level and height of these structures should strictly be followed viz this premises should be at higher level than the floor of the main building. Further, where it is inevitable to have guest house in the Southwest location ensure that there are no windows towards East and North. They may be only at South and West directions. Further precautions are to place toilet in the Southwest or Northeast. Guest house in the west direction does not harm the main house residents, so also the Guest house in the South direction. Of all the directions the worst directions for the guest house are East, Northeast, and North. East is synonymous with name, fame, prestige and education. If a guest house is there towards at the East direction these will be ruined. Northeast should always be as much vacant as is possible. Any guest house constructed at Northeast will cause loss of name, fame, prosperity, opportunities, and children education will be stunted. Good opportunities will be elude. Is it disastrous choice, if one has a guest house in the Northeast corner. Some one may ask one question "we have one guest house in Northeast, but we are not seeing any bad impacts, then is this vastu shastra is not working on us". The answer is simple, their home very big one and the guest house is also constructed at Northeast, but it is very far from the home and the GH is near to the Northeast compound area. In such case, the negative results and effects are slightly lower or late process. In some homes results are too late because the subhome is far from the mainstream. Please note that at any cost, don't construct the Northeast guest house to the main home. 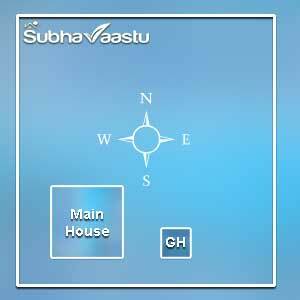 Vastu shastra is a great architecture, which is framed in India and invented by Indian rushis. There are many secrets and most of them may not be easily available in the open market. We are trying to publish the entire secrets of this vastu shastra. The perfect position for the Guest house is Northwest. 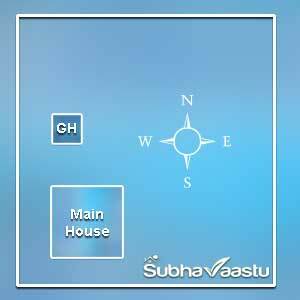 If complies with all principles of vastu where the guest has treated well and they will be happy to come and go. When the guest houses are at Northwest the movement would be more towards Northwest and Southeast directions. These should be arrested by positioning entry-exit door appropriately so that, best results are obtained. The passages to the enter the guest houses should be such that they pass through Northeast to a significant extent to dis-harm the malevolent effects of Northwest and Southeast directional moments. Here if resident like to stay your guests more days here, then keep the door at Northeast-east. For normal, then keep the door at center. If you don't like them to stay more days then keep the door at Southeast-east direction (In this circumstances guests eat food and eat your brains too.). North wIndows are recommended. Coming with Northwest and Southeast directional moments, here is a small tip. This is very simple. The guest house located at Northwest part of the main home, and the guest house is below half of the main property, if the main home has Northeast-north or Northeast-east or even North doors, then the walks from the guest house to the main home will become Northwest to Southeast. This could be stopped. The best way is making a pathway that leads to the Northeast of the main home and Northeast of the guest house, so all will become well with this small correction. (For example: Perhaps, the main house has the Northwest-north entrance door, then walks from the Guest house to the main home would become North to South walks only, not Northwest to Southeast walks. Please note that Northwest-north main door is not good. Trust reader know this point.) Thanks to Poppy, UK. There are many points which are highly concentrated while planning the Northwest Guesthouse. The floor level should be the same as the main home floor level. The guest house should not touch the main house not the North compound wall. (If there is a compound wall). The guest house west wall should be the same level with the main house west wall, please maintain exact line of these two constructions West walls. Based on the main house family members wish, then only toilet has to be planned at Guest house. If family members does not have any interest that the guests should not stay more days, then toilet can be built at Northeast corner. The accessible door of the guest house should be planned at Northwest-north to the guest house. If family members likes that guest should be stay more days,then the toilet should be planned at Northwest and the entrance door of the guest house should be at Northeast-east or East direction. In this image the guest house came towards Southeast. Please observe the South walls of the guest house and south walls of the main house, both walls are at same line. This is important point, that residents should not forget. Toilet will be at Southeast and the main entrance will be towards Northeast-north or North. Windows will be towards East direction, not towards West direction, otherwise main home family members privacy will become lost. This guest house should not touch the main house or East compound wall (If there is compound wall) Thanks to Mallika Ji, Bay Area, USA. Read more articles from Guest Room Vastu Tips link. Vastu shastra books, where can I get information? Shops Vastu, following vastu is important for shops? Vastu consultant in California, looking for vastu advice? 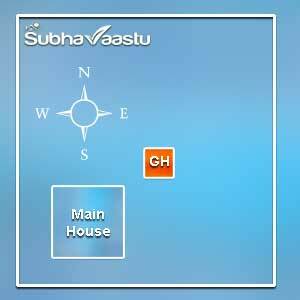 Servant rooms vastu tips, which location is good for servants? Swimming pool vastu, which area in our home is good for pool? I am suffering with horrible debt problems, is really vastu helps? Quarrels were common in my neighbor house, what is the reason? 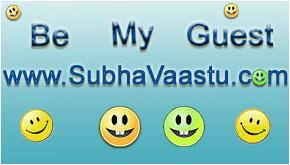 Is vastu helps for own field development, I need some support in life? Sir I have built four floor building n on 5th floor I have built half the portion from North,East,sout h (0 to 180 degree) as guest room n another half open in which south (180 to 220 degree)stair case n south west (220 to 240 degree)water tank.Is the built up correct. our house is east facing bath room is west-north corner in bed rooms. in that bath room toilet is given west-soth of bath room. toilet pipe is 6inches our florring is 3inches can i proced with this.is it good with vasthu.